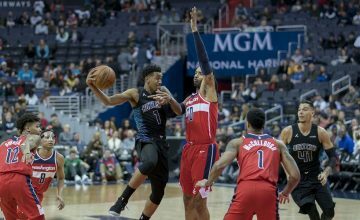 I wanted to wait a couple of weeks of the NBA season to get under our belt before posting my first article of the season. Alas here we are and I present you with my list of pick-ups, players to watch and player who I think are safe to drop at the moment. I will try to get this article up weekly, but with football season still going on and requiring a lot of time, I’m not sure how successful I will be. Until then you can always ask me questions on Twitter or Facebook, you can find the links to each of those at the bottom of this article or on the right side of this site. Anyway enough of the yappin, lets get to it. 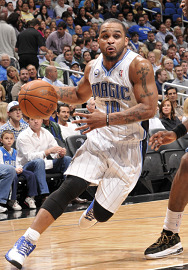 Jameer Nelson (PG – Orl) – Was dropped in a lot of leagues after he got injured, but is a game-time decision tonight. When he comes back he can be a good source of assists for those who need help there. He can give you a moderate help in the rest of the categories, except blocks, so he should be owned in most leagues. Randy Foye (PG/SG – Uta) – He has been a great scorer off the bench for Utah. 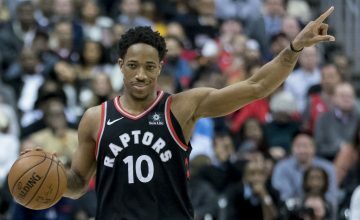 If you take out the Phoenix game, where he laid a stinker, he has scored on average 14.4 ppg with 2.85 3-pointers a game. Danny Green (SG- SA) – Green is starting in San Antonio and is becoming a good source of 3-pointers, averaging 2 a game. He is only averaging 11.3 points a game and not many assists or rebounds, but can also give you a steal a game. He is good if you need threes. Chandler Parsons (SF – Hou) – He just become owned over 50% in ESPN leagues as of today, but I’m still going to list him here. He kinda does a little bit of everything as he is averaging 12.4 points, 2.1 3-pointers, 6.4 rebounds, 3.6 assists and 1 steals a game. Byron Mullens (PF/C – Cha) – Another guy who just went over the 50% owned mark today. Mullens is almost averaging a double-double with 11.3 points and 9 rebounds a game. He will also give you more than a steal and block a game. But what makes his value so high is the 1.6 3-pointers he gives you, coming from a big man, that is rare. Shawn Marion (SF – Dal) – He is supposed to return to the lineup tonight, if not it should be next game. He has always been a player I have liked for fantasy since he gives you help in all categories. 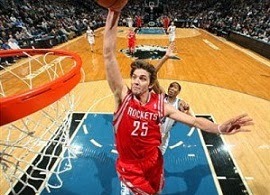 He isn’t the player he was 5 years ago with Suns, but with Dirk out still he will be called upon a bit more to score. Andre Miller (PG – Den) – He is the backup for Raymond Felton in Denver, which is the only reason why I don’t put him in the add category. But even being a backup his numbers are good, 10.2 points, 5.6 assists and 4.1 rebounds a game. He won’t help much in the other categories but to get 5.6 assists and 4.1 rebounds from a backup point guard isn’t bad. Trevor Ariza (SF – Was) – He had a horrible start to the season, but he has scored in double digits two of his last four games, adding 23 rebounds during that time. He is also adding an absurd 2.3 steals per game. A.J. Price (PG – Was) – While John Wall is out, at least another two weeks, Price will start at point for the Wizards. He like Ariza started off slow, but got things going with four of five games with double digit scoring and averaging 7.8 assists in those games. He is also adding 2.0 3-pointers a game if you needed more reason to add him. 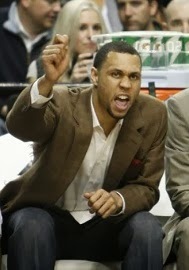 Brandon Roy (SG/SF – Min) – He clearly isn’t going to be much of a fantasy asset this season. He has three games where his assist numbers were good (6, 7, and 9), but other than that he has done next to nothing. Now he has missed three straight games after bumping knees last week. For those of you who took the risk on him late in drafts, I have a feeling you’re going to see him on the bench in a suit quite a bit this season. Eric Gordon (SG – NO) – Can’t dump him just yet, as he is supposed to come back in mid-december. But if he suffers another setback with his knee I would not hesitate to drop him. Especially after last year’s disaster with the same knee. Manu Ginobili (SG – SA) – His back injury has really limited his effectiveness in all but one game this season, where he scored 17 points. I don’t know if you drop him, but if you can try to dump him to somebody else who would just look at the name and pull the trigger on a trade, I’d do it and make him somebody else’s problem. Isaiah Thomas (PG – Sac) – Thomas owners were hoping for him to build off of last season’s finish, but it just is not happening. So far he is only averaging 11.9 points and 1.4 assists. As a point guard to only be averaging 1.4 assists is embarrassing. 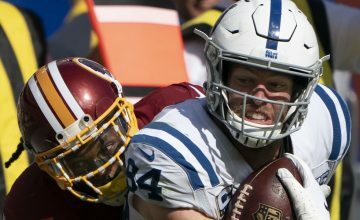 You can follow us on Twitter, Facebook, and Google+ for more daily fantasy news or to ask us any questions you have about your fantasy team.